Kris is a representative of Australia known for impressive Lithuanian diaspora numbers. 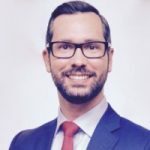 Originally from Melbourne, he has worked in IT Services for 20 years relocating to Sydney, London, Moscow, Atlanta, the past 5 years living in Singapore. Mr. Levickis held various roles at NCR, consumer transactions technology company, including Business Operations Director UK & Ireland, General Manager of Russia, Continuous Improvement Director for North America. His Present position of Vice President of Oracle Systems Support Delivery for Asia Pacific & Japan brought him to very East Asia.